Thabo Makhetha is driven, this is evident in her persona and seeps through to her surroundings…from the look, feel and quality of her creations, to the accolades she’s received since the start of her label, e.g. one of Nelson Mandela Bay’s top 40 under 40, to being featured in magazine, to her designs worn at Louis Vuitton Fashion week in Paris by the Elle editor, Jackie Burger. 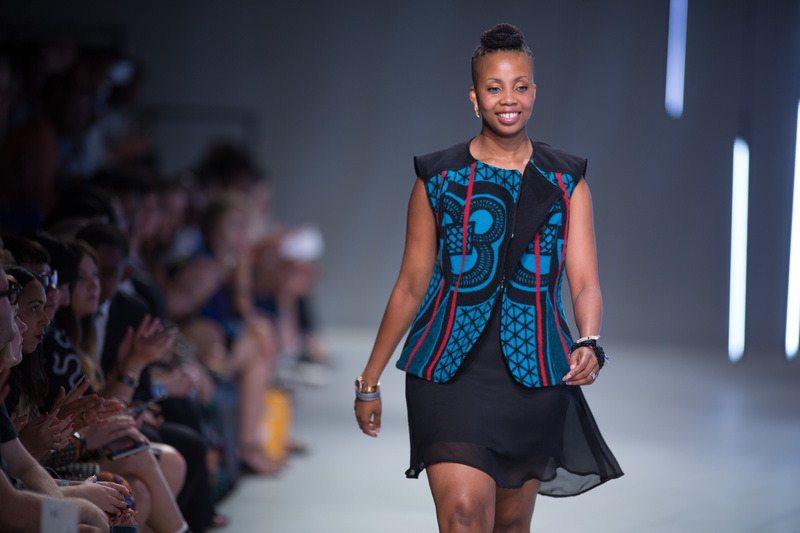 Owning a Thabo Makhetha garment makes the statement: I’m beautiful, I’m sophisticated, I’m African. How do you manage to feed your creativity and maintain this vision? I believe that attaining a classic design is made possible when it’s supported by a story. My designs incorporate the beauty of the Basotho blanket and are intertwined with stories from the culture which represents my heritage. In addition, as a woman, I know what makes me feel unique and beautiful through the pieces I create. If I wouldn’t want to wear it, I wouldn’t make it. I am inspired by everything, different kinds of things, being attentive to my surroundings and taking a view from a different perspective. I am also a big fan of Florence and the machine, the music inspires me. Fashion becomes a problem when people start losing their individuality by blindly following trends. Fashion should represent an individual’s unique statement about who they are, keeping in mind that uniqueness and boldness within reason is good. Fashion also represents a visual account of what’s happening in the world. What sets apart African fashion, if anything, from other parts in the world? The biggest aspect behind African fashion is the culture, the fabrics, the patterns, the reasons why certain garments are worn in a certain manner. In some instances there are little to no differences between European and African brands, which is kind of disappointing because we have our unique, cultural stories to share with the rest of the world. On the other hand, another factor that influences African designs are the fact that many people feel they’ve “made it” once they start wearing European brands. This leads to African designers creating garments that appeal to more of a European kind of look and feel in order to get the relevant attention from this kind of target market. The qualities I most like in a woman are confidence and authenticity. These are the two most important attributes needed to looking great. Hands down it is Sir Richard Branson! I love his entrepreneurial spirit and the fact that he is not restricted by the way people think. One specific situation that sticks to my memory is when he was interviewed on top of a hot air balloon, not inside – on top! This is an indication, once again, that with him there is no limitation. One more person that I admire is Tyra Banks due to the fact that she branched out from being a successful model, used what she’s skilled at and built an empire. Well, Thabo all the signs point in the direction of you following her footsteps towards building an empire!